Home of your dreams! Sit out on the lovely wrap around covered porch and enjoy Peace & Quiet. 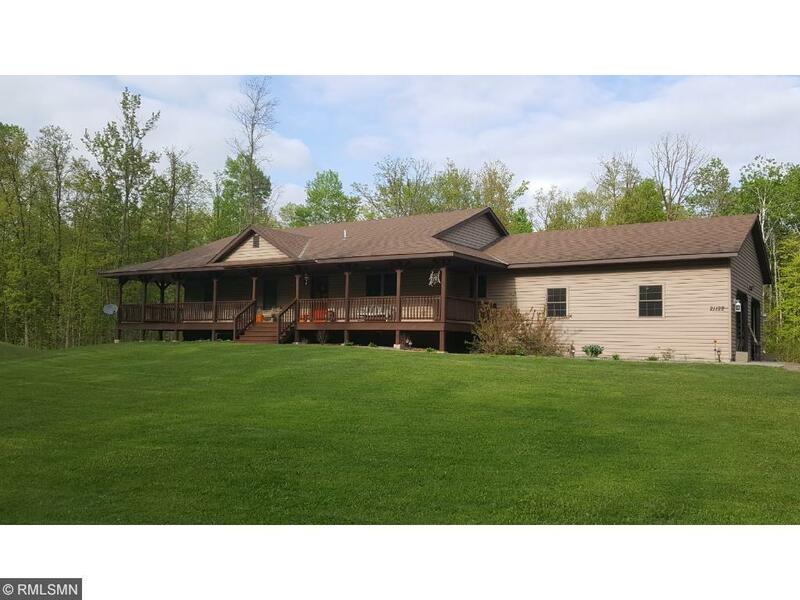 Gorgeous custom-built rambler situated on 10 picture-perfect heavily wooded acres. Home features open floor plan,real fireplace,spacious kitchen, center island & beautiful counter tops. Basement framed and ready to be finished,to make a possible approx. 3000 sq ft finished home. Dual Heat option,LP forced air or outdoor wood boiler to keep you toasty warm in the winter. Manicured yard is like a park!